Founded in 1921 Brighton Life Saving Club has a long and strong tradition of serving the Bayside beach community. Located at one of Australia's most photographed beaches, Dendy Beach, the club overlooks a wide stretch of sand flanked by the famous colourful beach boxes. Dendy Beach is one of the most popular summer spots for locals and tourists in Bayside. The club patrols on weekends and holiday periods from November through to April performing numerous rescues and providing endless amounts of advice to prevent incidents. 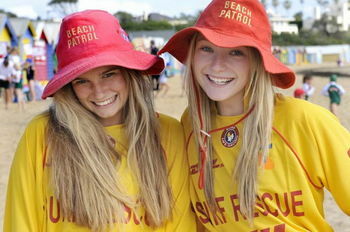 Brighton Life Saving Club is made up entirely of volunteers. The club is focused on community involvement and first aid. As well as patrolling the beach, members assist at fitness events, open water swims and fundraisers, they help educate the club and broader community on beach and water safety. Throughout the season bronze medallion camps, first aid courses, fitness training programs, board training and IRB courses are conducted to keep members at the forefront of skills and knowledge. With a membership of 620 including approximately 250 nippers and juniors, the club is involved in competitions at all levels. The club is well represented at local, regional and state carnivals and participates at the National level as well. Adults and cadets participate actively as patrollers, trainers, mentors, nipper leaders and help run the day to day club. New members are a welcome addition to the club. We encourage new and current members to undertake a range of life saving courses to develop the skills and knowledge required to become active patrolling members.